Wedding bells are in Pippa Middleton's future, and she just confirmed it by showing off a sparkling new ring on that finger. Kate Middleton's younger sister was smiling from ear to ear this morning as she left her home in a chic Whistles Lisa Embroidery Dress ($107) and her newest accessory. According to People, the 32-year-old got engaged to hedge fund manager James Matthews on Sunday, July 17 in northwest England's Lake District. A Kensington Palace spokesman said, "The Duke and Duchess of Cambridge are absolutely delighted with the news." While the couple never confirmed nor denied their relationship, they previously dated in 2012 before splitting up for three years and rekindling their romance earlier this year. But about that ring! 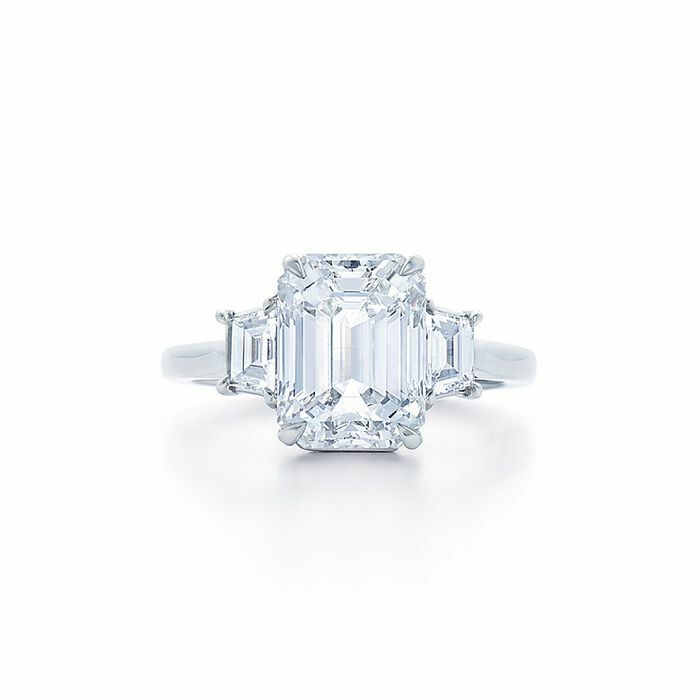 Diamond expert David Christopher Allen, creative director of 77 Diamonds, tells The Telegraph, "It is Art Deco in style with an octagonal halo of round diamonds surrounding what looks to be a four carat Asscher cut diamond. Asscher cut diamonds are step cut inside, which means there are fewer facets than standard shapes such as round or princess square cuts. This means that their clarity has to be of the highest quality and close to flawless to show off the beautiful structure of the diamond." We can't wait to see close-ups of the ring and learn more about its details. Shop our engagement ring picks below. Who do you think will design Pippa's dress for the big day? Tell us in the comments.